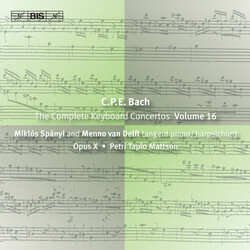 Miklòs Spànyi’s latest volume in his series of the Keyboard Concertos by C.P.E. Bach is the 16th of an estimated total of 19, and we are thus reaching the end of a series which according to a reviewer on German website Klassik Heute has earned ‘a rightful place in the history of recorded music as an epoch-making achievement’. On the present disc we are treated to three works which illustrate the various responses of the composer to the changes that occurred in the musical establishment in the mid-18th century. Although composed within three years of each other, the two concertos are very different from each other. The Concerto in D major is a highly extrovert work, obviously intended for public concerts. This character is underlined by Bach’s later addition of wind instruments, adding colour to an already colourful piece. The Concerto in A minor, on the contrary, is a good example of Bach’s ‘galant style’: most effective in small private chambers and far less suited to large concert rooms. The Sonatina in B flat major, finally, belongs to a group of works which the composer distinguished from ‘concertos’ as he understood the term. As all sonatinas by Bach, this one adopts a less serious style than the concertos and the string group is complemented by wind instruments, making it suitable for large-scale performances. Its overall plan also follows a typical pattern: a moderately slow, dance-like movement, followed by a fast movement and finally a somewhat slower one. What makes this sonatina unusual is its use of two solo keyboards rather than only one. 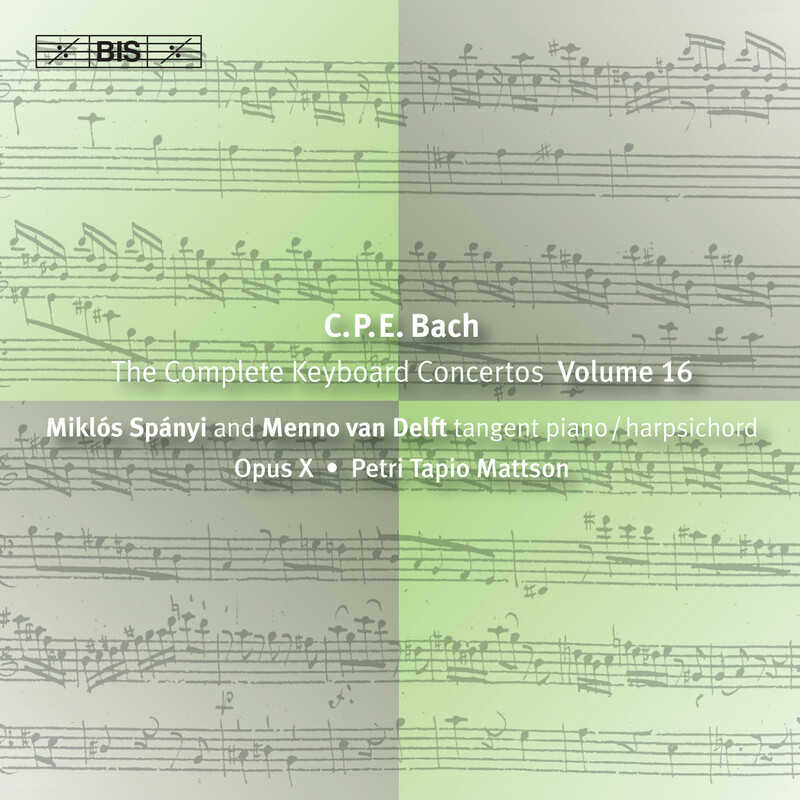 In this work, then, Miklòs Spànyi and the Opus X ensemble is joined by the distinguished Dutch harpsichordist Menno van Delft. So all is set for another exciting instalment in this highly acclaimed series of ‘brilliant recordings, that admits to no routine or any degree of tiredness’, to quote the website klassik.com.